Three years ago I led a session for a few women at my home about loving our husbands and children and homemaking, from Titus 2:3-5. Below is the handout we used. It was a really fun evening sharing with other women and encouraging each other in the struggles we all have in these areas. If you have other websites or ideas to share, please leave a comment! 2 Timothy 3:16-17 All Scripture is God-breathed and is useful for teaching, rebuking, correcting and training in righteousness, so that the man of God may be thoroughly equipped for every good work. Titus 2:3-5 Likewise, teach the older women to be reverent in the way they live, not to be slanderers or addicted to much wine, but to teach what is good. Then they can train the younger women to love their husbands and children, to be self-controlled and pure, to be busy at home, to be kind, and to be subject to their husbands, so that no one will malign the word of God. 10 A wife of noble character who can find? She is worth far more than rubies. 11 Her husband has full confidence in her and lacks nothing of value. 12 She brings him good, not harm, all the days of her life. 13 She selects wool and flax and works with eager hands. 14 She is like the merchant ships, bringing her food from afar. 15 She gets up while it is still dark; she provides food for her family and portions for her servant girls. 16 She considers a field and buys it; out of her earnings she plants a vineyard. 17 She sets about her work vigorously; her arms are strong for her tasks. 18 She sees that her trading is profitable, and her lamp does not go out at night. 19 In her hand she holds the distaff and grasps the spindle with her fingers. 20 She opens her arms to the poor and extends her hands to the needy. 21 When it snows, she has no fear for her household; for all of them are clothed in scarlet. 22 She makes coverings for her bed; she is clothed in fine linen and purple. 23 Her husband is respected at the city gate, where he takes his seat among the eldersof the land. 24 She makes linen garments and sells them, and supplies the merchants with sashes. 25 She is clothed with strength and dignity; she can laugh at the days to come. 26 She speaks with wisdom, and faithful instruction is on her tongue. 27 She watches over the affairs of her household and does not eat the bread of idleness. 30 Charm is deceptive, and beauty is fleeting; but a woman who fears the LORD isto be praised. 31 Give her the reward she has earned, and let her works bring her praise at the city gate. We believe that the best way to love our husbands and children and to be good homemakers is to follow God’s way in the Bible. II. What Do We Learn From the Proverbs 31 Woman? She is a wife of noble character, her husband has full confidence in her, she brings him good and not harm, does all she can at home so that he is respected at the city gate. She is working at home: works with eager hands/ vigorous and strong arms, gets up while it’s still dark, not lazy, understands finances, has earnings and uses her wages to help her family and not to get things for herself, she has many homemaking skills (selects wool and flax, provides food, plants a vineyard, holds distaff and grasps spindle, makes garments and sells them, makes coverings for her bed), takes care of herself (she’s strong) and her appearance (clothed nicely), helps the poor/ministers to others. Her character: has strength and dignity, planned-up for the future, wise, teaches faithfully, not idle, fears the Lord. She’ll be praised by her husband, her children, and at the city gate. *This is a goal to work towards; it’s not something we’ll be able to obtain overnight! Have a merry heart; be thankful, joyful, and content; be playful, available, and fun. Don’t do or say anything that will cause him to mistrust you; never say anything bad about him. C. How can I Be My Husband’s Helper When He’s Such a Jerk? **Find an excerpt of Chapter 8 here. E. Work on Becoming Best Friends with Your Husband. On p. 123 in Created to Be His Help Meet Debi Pearl lists a project for each day of the week, such as writing down three things that you can do that will be a help to your husband. Another assignment can be found at Nancy Leigh DeMoss’s Revive Our Hearts website: 30-Day Husband Encouragement Challenge for Wives. It’s also wonderful to pray for your husband for 31 days. You can find some neat (free) prayer cards at Better Life Bags. A. The Best Way? Love your husband/ their dad! See above. Deut. 6:5-7 Love the LORD your God with all your heart and with all your soul and with all your strength. These commandments that I give you today are to be upon your hearts. Impress them on your children. Talk about them when you sit at home and when you walk along the road, when you lie down and when you get up. Eph. 6:4 Fathers, do not exasperate your children; instead, bring them up in the training and instruction of the Lord. How? Don’t rely on church, Sunday School, Awana, BSF, etc. You (and your husband, hopefully) should read through the Bible with them (try one chapter or a few verses each night before bed when they turn 1 year old), use a devotional guide (see church library for lots of ideas—I like Leading Little Ones to God by M. Schoolland), memorize verses together as a family (start at age 3 or 4), learn a hymn or praise song every week, pray for them aloud every night and teach them to pray, read books/ biographies to help the understand godly character, worship at church together as a family. Also, read and study the Bible yourself and pray daily! Prov. 22:15 Folly is bound up in the heart of a child, but the rod of discipline will drive it far from him. Prov. 13:24 He who spares the rod hates his son, but he who loves him is careful to discipline him. Col. 3:20 Children, obey your parents in everything, for this pleases the Lord. Heb. 12:11 No discipline seems pleasant at the time, but painful. Later on, however, it produces a harvest of righteousness and peace for those who have been trained by it. Prov. 23:13 Do not withhold discipline from a child; if you punish him with the rod, he will not die. Prov. 19:18 Discipline your son, for in that there is hope; do not be a willing party to his death. Prov. 29:17 Discipline your son, and he will give you peace; he will bring delight to your soul. Eph. 6:1, 4 Children, obey your parents in the Lord, for this is right. Fathers, do not exasperate your children; instead, bring them up in the training and instruction of the Lord. Along with the “rod” (some kind of negative discipline, will be different for different kids or parents, but is NEVER abusive), they need the “reproof”: Use God’s Word to teach them why what they are doing is wrong. Help them to examine their own hearts to discover their motives. And have them practice doing it the right way. 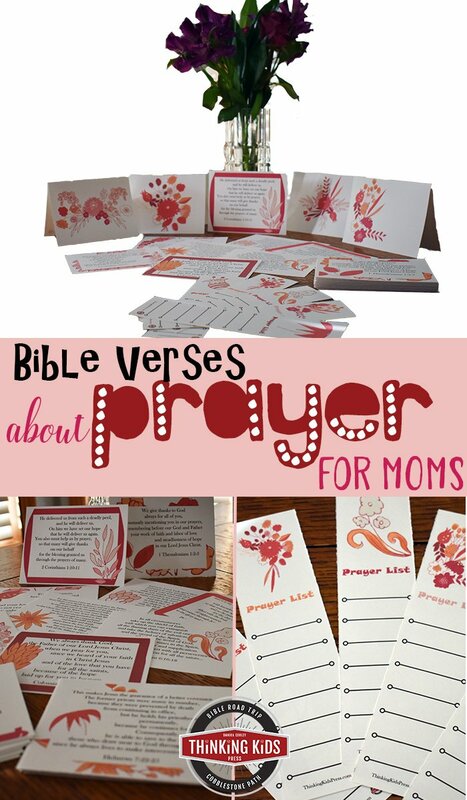 Ginger Plowman’s resources (such as “Wise Words for Moms”) are wonderful! Col. 3:21 Fathers, do not embitter your children, or they will become discouraged. *Very little screen time (includes TV, video, video games, computer). *Protect them—be careful whom you leave them with. Titus 2:4-5 Then they can train the younger women . . .to be busy at home (NIV), homemakers (NKJV), working at home (ESV), keepers at home (KJV), workers at home (NASB), keep a good house (Message), work in their homes (NLT). 1 Tim. 6:6-8 But godliness with contentment is great gain. For we brought nothing into the world, and we can take nothing out of it. But if we have food and clothing, we will be content with that. Phil. 4:11 I have learned to be content whatever the circumstances. Plan ahead, make extra and freeze, use crock-pot (can put the stuff in the night before), plan out monthly or seasonal menus (“think once and write it down”—Kym Wright), have a pre-printed grocery list, e-mealz.com, have a stocked pantry and fridge/freezer, organize a recipe binder or notebook of recipes you use (not hope to use). Simplify—throw or give away what you aren’t using. Mail—try to touch each piece only once, have folders labeled to file away (e.g. Coupons, Read Later, File Later, Husband, Bills to Pay, Need to Answer, Fliers and Coupons that Expire This Week), have shredder/trash/recycle box nearby. Bills—do as many automatic and/or online as possible, have certain days each month that you pay the others, have a chart of every bill and mark it off as you pay (so you won’t miss any). Calendar—paper, online, pda. Just use it! This one is great: Click here to visit Motivated Moms. Schedule it—choose one: once a week, one day upstairs and another day downstairs, a different room every day. Use this wonderful calendar, which has the schedule all figured out for you: Click here to visit Motivated Moms. Use safe cleaners—Like Shaklee, so your kids can hang around you or do it themselves. Search internet for recipes to make your own. Make sure God, husband, and children come first. Get your husband’s advice and approval. Homestead Blessings DVDs, by the West Ladies. I love these DVDs! Set goals (e.g. learn one major skill every year, such as sewing or quilting, canning or baking your own bread, gardening, etc.). Get with other women to learn; find a mentor. 1 Pet. 4:9 Offer hospitality to one another without grumbling. Rom. 12:13 Share with God’s people who are in need. Practice hospitality. It’s ok to start small and simply. Set a goal, such as inviting one single person or a family every two months. Get the house ready, plan the meal, and just do it! Good book—Karen Ehman’s A Life that Says Welcome: Simple Ways to Open Your Heart and Home to Others. Amy Dacyczyn’s Tightwad Gazette and Jonni McCoy Miserly Moms. Coupons—find a system to organize them. I. Don’t “leave home” by phone, email, Facebook, blogging, etc. Schedule it in your day; set limits. **To purchase any of the books listed above, check Barnes and Noble ( ) You might find it used or on sale!